Two decades ago, the Air Max 97 Premium turned heads with its future-facing design and full-length Nike Air cushioning. 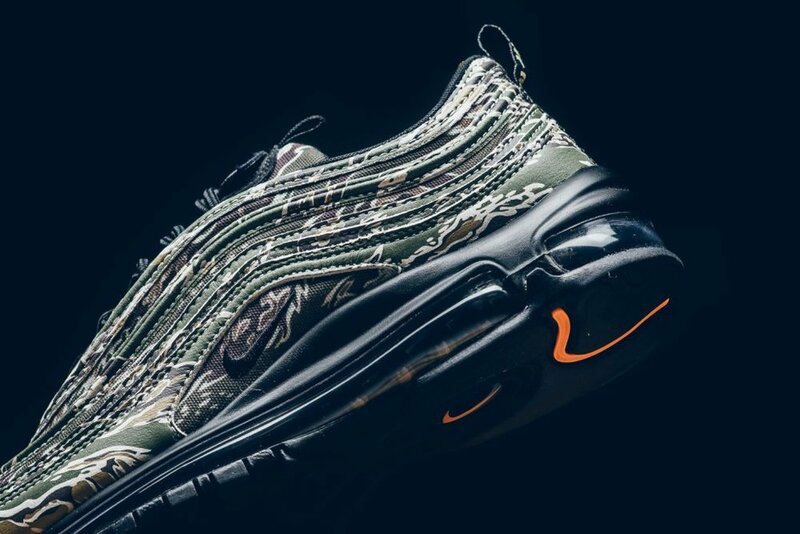 Now it returns outfitted in camo inspired by the United States armed services. A removable flag patch on the tongue gives you the option to rep the red-white-and-blue, or you can mix-and-match badges for a custom look. Twenty years after its debut, the Air Max 97 has become a global force. But its home will always be the U-S-A. Available now at retailers such as Sneaker Politics.